Home Entertainment Pokémon Sun and Pokémon Moon launched, marks 20th anniversary of the original video games!!!!!! 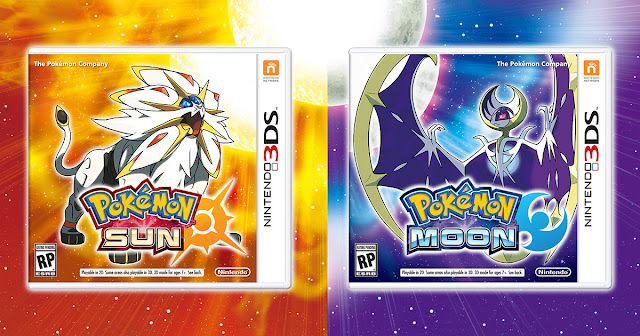 Pokémon Sun and Pokémon Moon launched, marks 20th anniversary of the original video games!!!!!! Image result for pokemon sun and moon Japanese gaming giant Nintendo on Friday launched Pokémon Sun and Pokémon Moon, the latest games in the series, in Japan and the US, four months after the release of Pokémon Go. The release of the seventh generation of the multi-billion dollar franchise, which has not launched any new games in the series since October 2013, coincides with the 20th anniversary of the launch of the original Pokémon video games and follows the stupendous success of Pokémon Go, which has been downloaded over 500 million times. The new games, designed for Nintendo’s 3DS portable game console, will be released in Europe on November 23 and Nintendo has already shipped 10 million copies throughout the world, EFE news cited the company as saying in a statement. Nintendo, who said during the release of its results for the first quarter of the Japanese financial year (April-September) that the success of Pokémon Go helped boost sales of software in the Pokémon series during the same period, hopes the effect is enhanced with the new games. The starting price of the games is 4,980 yen in Japan, $39.99 in the US and 44.95 euros in Europe. The games take place in the Alola region, composed of four tropical islands and an artificial one, and feature a total of over 800 pocket monsters for the players to hunt. A few Pokémon-enthusiasts had recently grabbed pirated copies of the game leading Nintendo to ban them from its online network. Japanese gaming giant Nintendo on Friday launched Pokémon Sun and Pokémon Moon, the latest games in the series, in Japan and the US, four months after the release of Pokémon Go. The release of the seventh generation of the multi-billion dollar franchise, which has not launched any new games in the series since October 2013, coincides with the 20th anniversary of the launch of the original Pokémon video games and follows the stupendous success of Pokémon Go, which has been downloaded over 500 million times. The new games, designed for Nintendo’s 3DS portable game console, will be released in Europe on November 23 and Nintendo has already shipped 10 million copies throughout the world, EFE news cited the company as saying in a statement. Nintendo, who said during the release of its results for the first quarter of the Japanese financial year (April-September) that the success of Pokémon Go helped boost sales of software in the Pokémon series during the same period, hopes the effect is enhanced with the new games. The starting price of the games is 4,980 yen in Japan, $39.99 in the US and 44.95 euros in Europe. The games take place in the Alola region, composed of four tropical islands and an artificial one, and feature a total of over 800 pocket monsters for the players to hunt. A few Pokémon-enthusiasts had recently grabbed pirated copies of the game leading Nintendo to ban them from its online network.